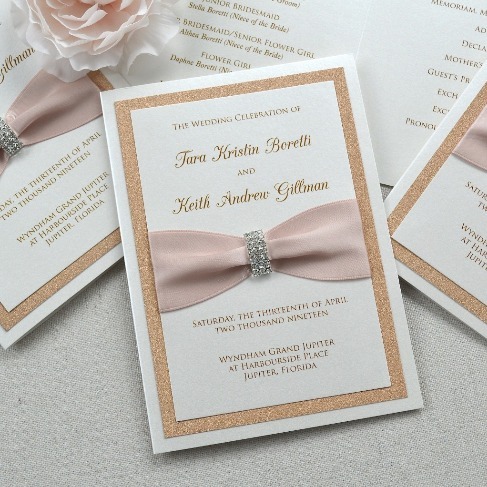 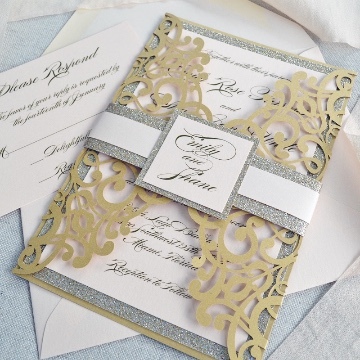 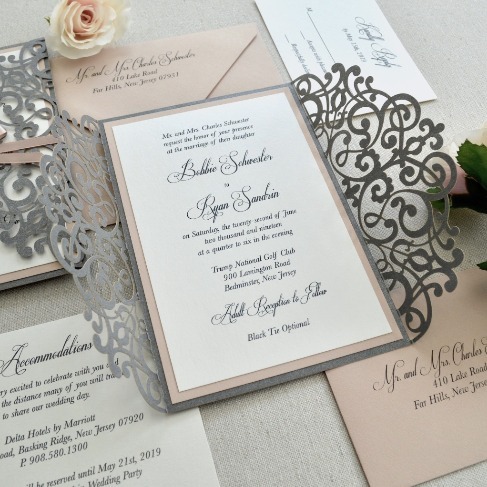 Our Gold, Champagne Gold, and Blush Laser Cut is pretty fabulous if you ask me. 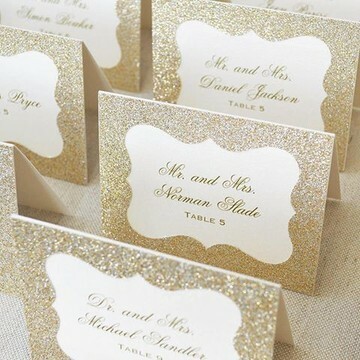 Besides, we're loving the Glitter Belly Band and name plaque. 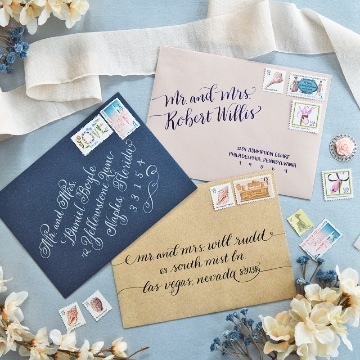 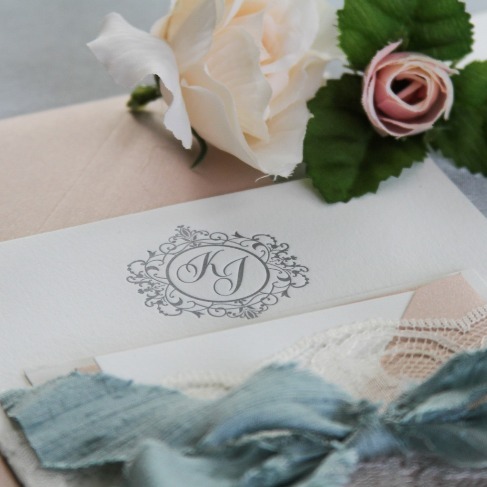 We're obsessing over these fancy handwritten calligraphy scripts. 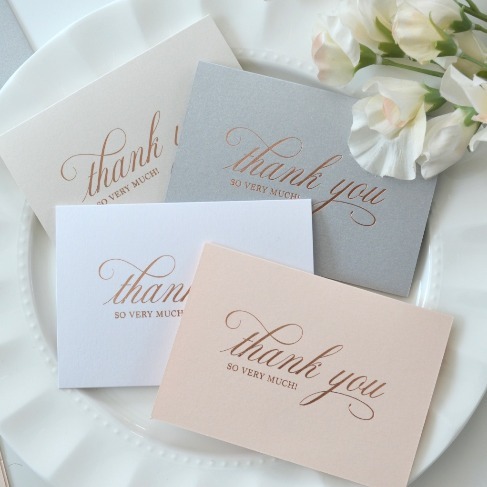 Thank you @calligraphybyjennifer for the beautiful samples! 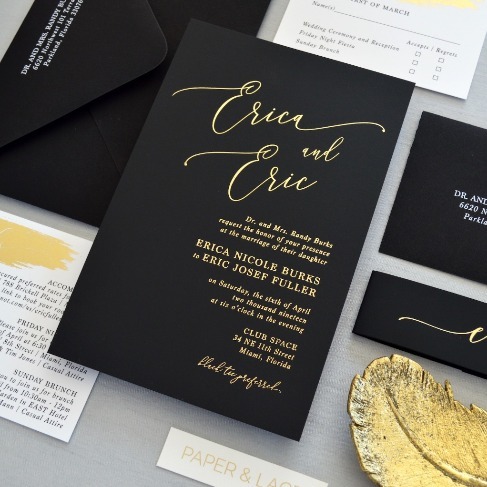 If you're looking for a calligraphy expert, she's your girl! 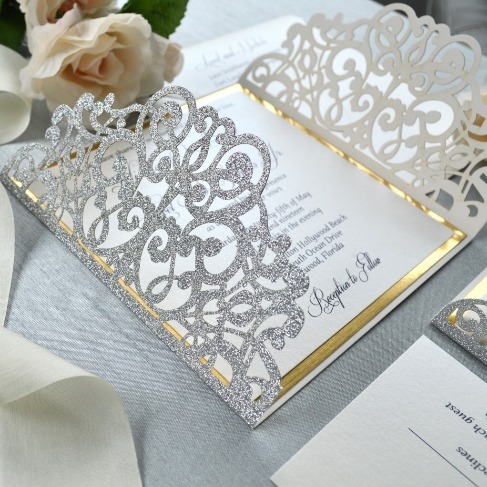 I can always count on an elegant buckle to jazz up an elegant invitation. This is the Silver Double Rounded Rhinestone Buckle on our online shop. 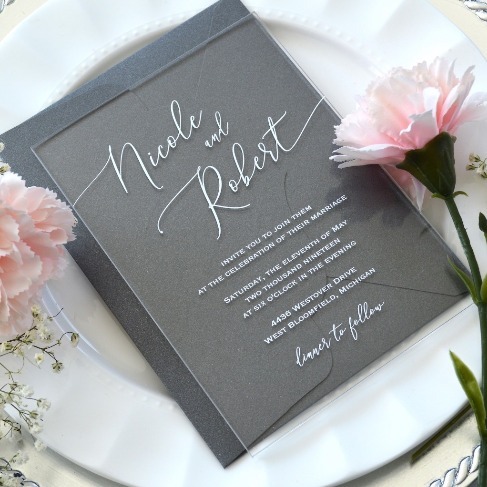 DIY Buckles are now available! 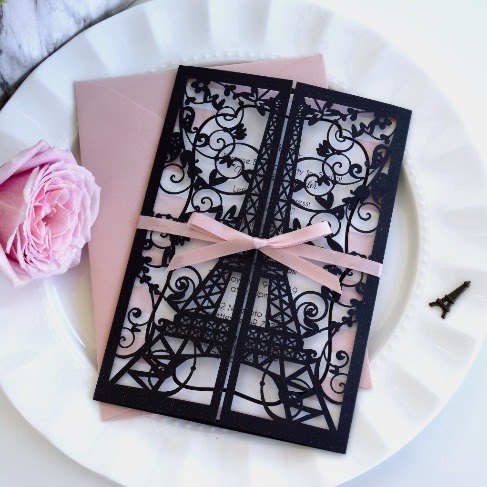 Our power is back on and we're ready to create and inspire again! 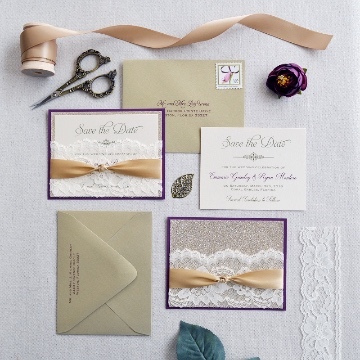 Currently working on these cute purple, silver, and gold Save The Dates and adoring the ivory lace and gold ribbon details. 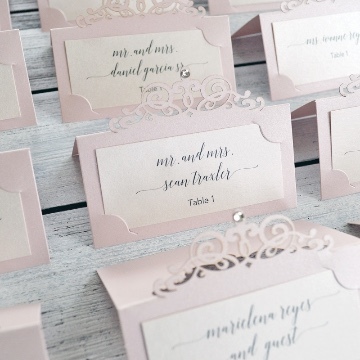 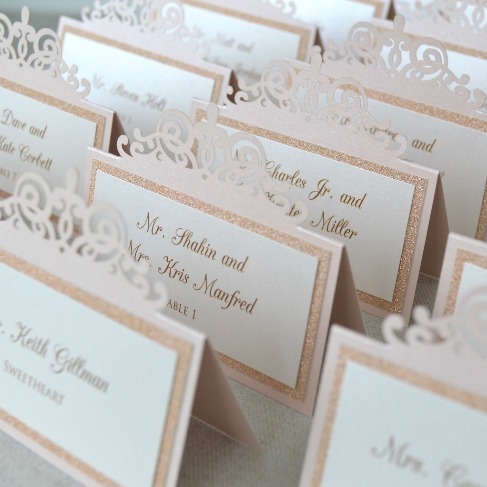 Loving these blush laser cut place cards with digital calligraphy. 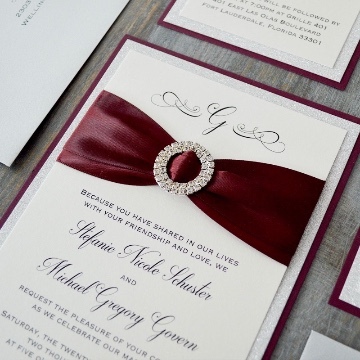 B is for Burgundy, Bows, and Belly Bands! 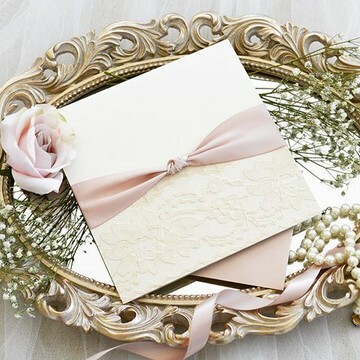 "Coming together is a beginning; keeping together is progress; working together is success." 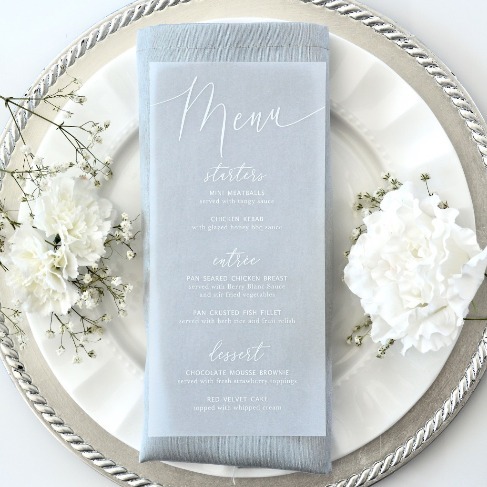 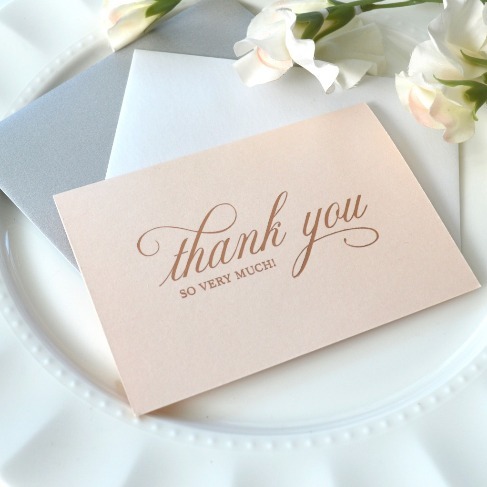 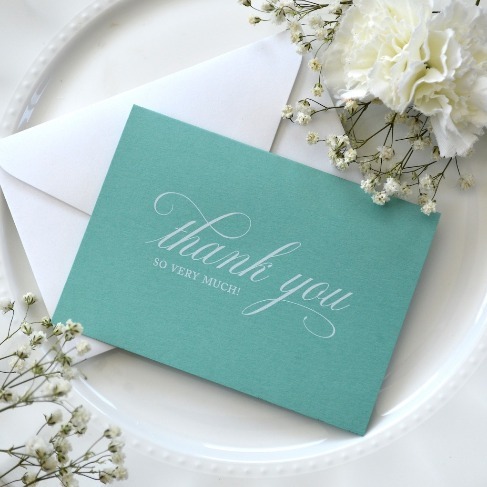 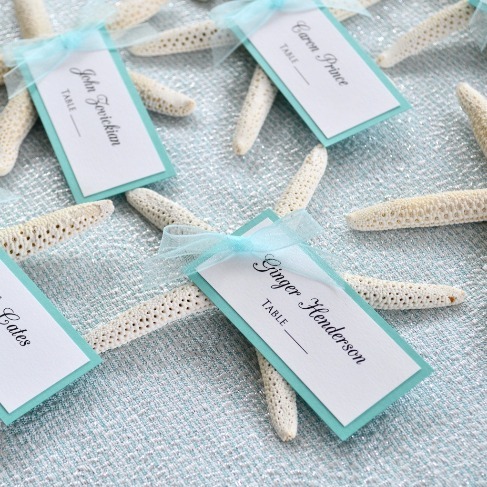 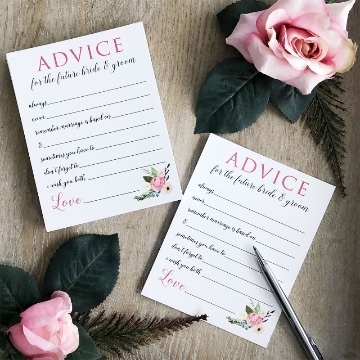 Purchase advice cards and have your guests fill them out at the Bridal shower! 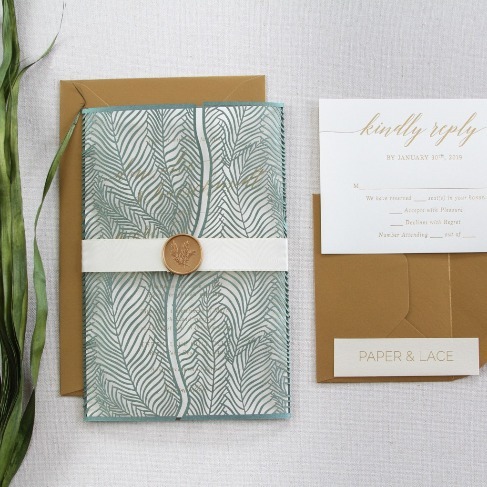 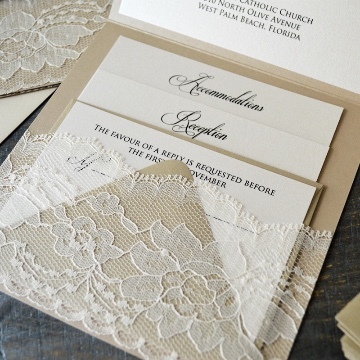 Experimenting with the newest DIY Laser Cut Lace Belly Bands on our popular, rustic invite. 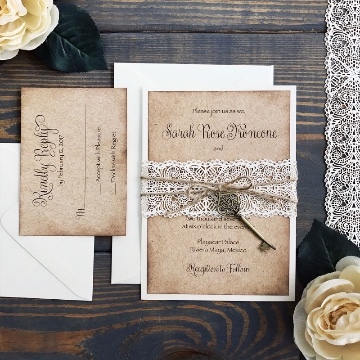 Topping it off with twine and vintage key! 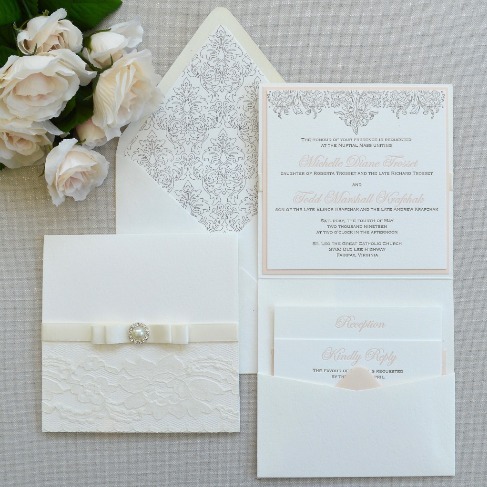 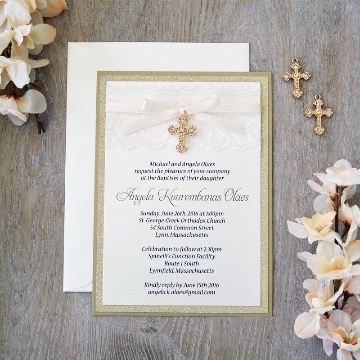 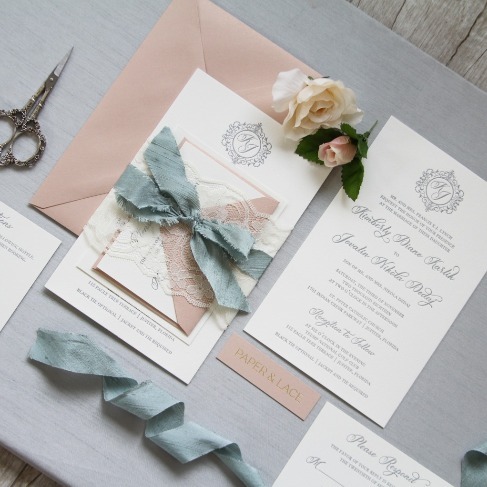 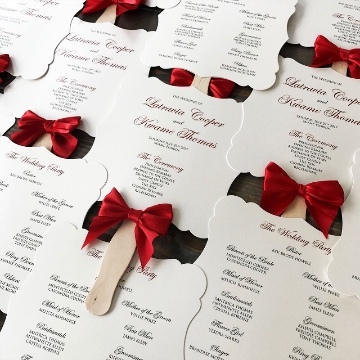 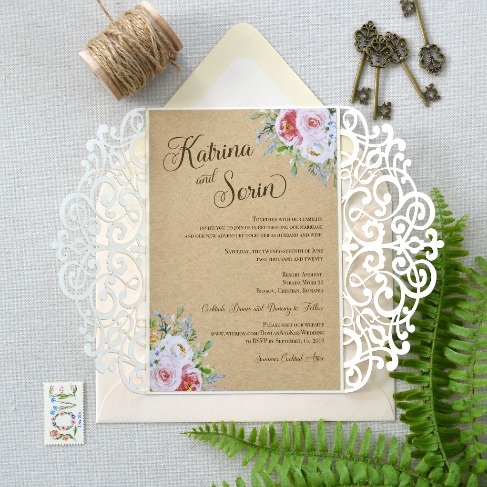 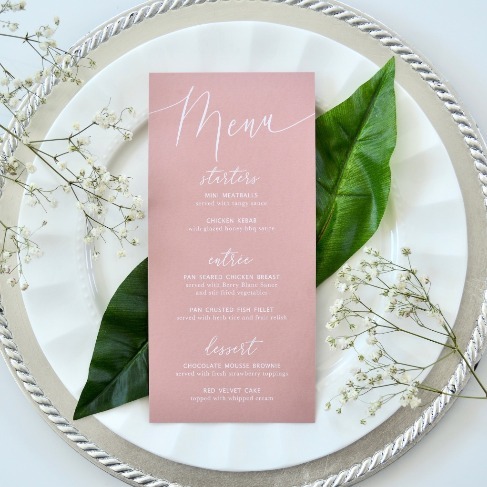 RSVP cards are always included in your wedding stationery, but other insert cards will provide important information that your guests need about your event. 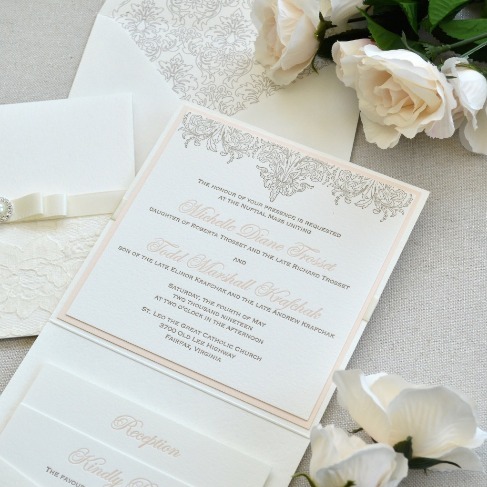 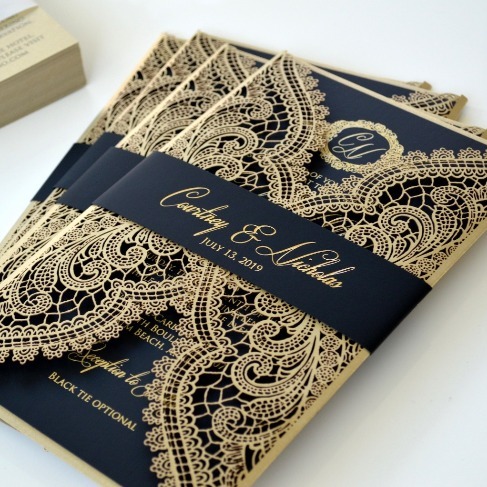 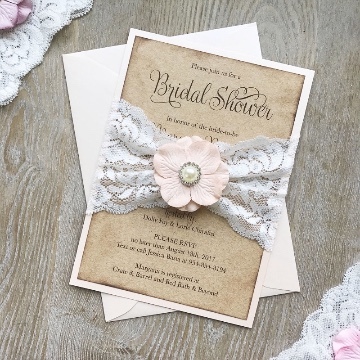 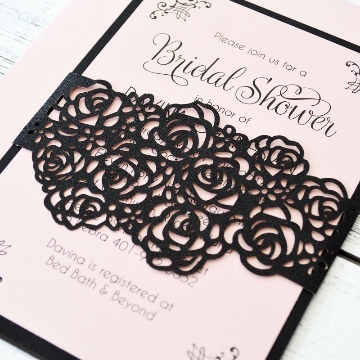 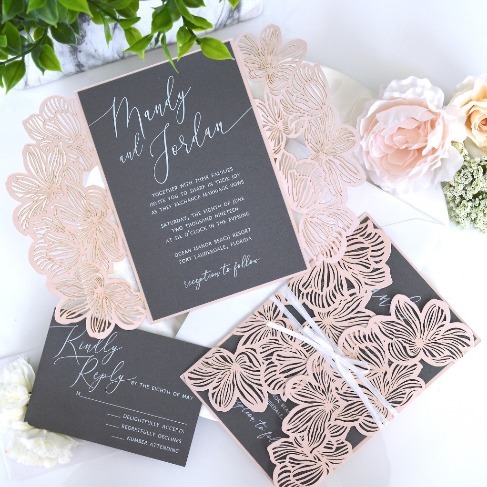 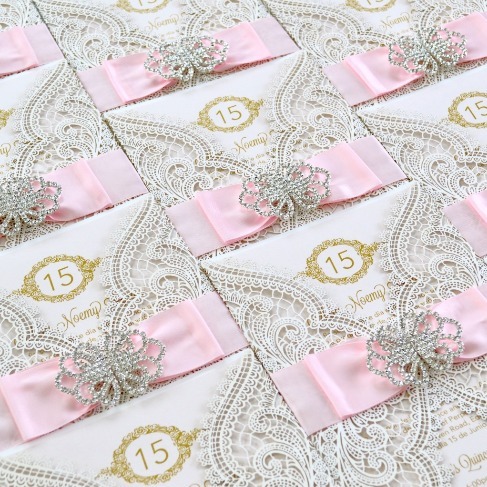 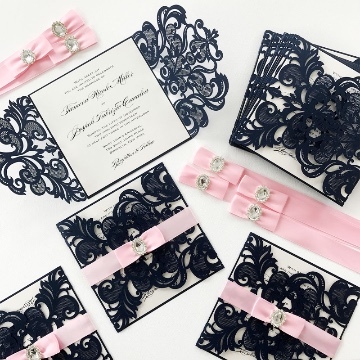 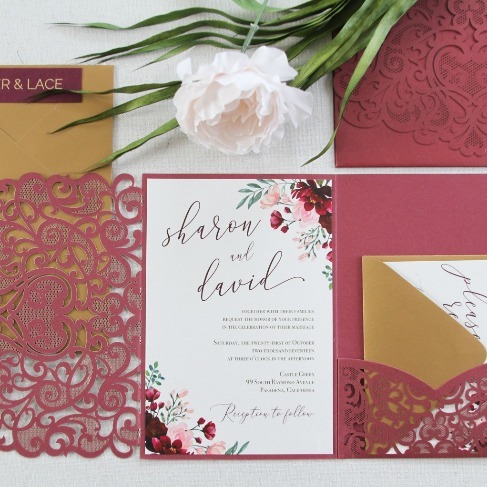 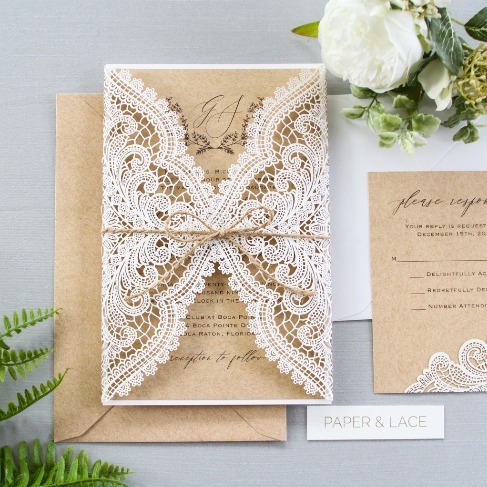 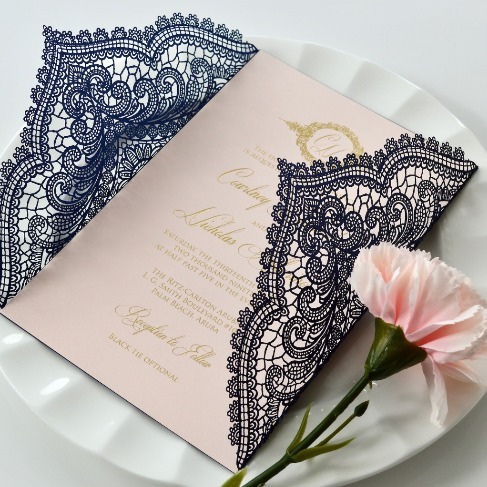 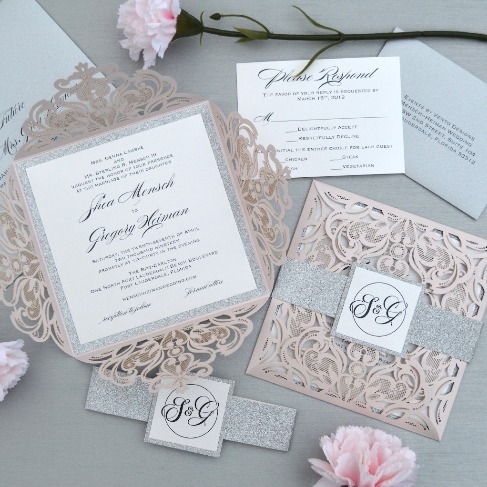 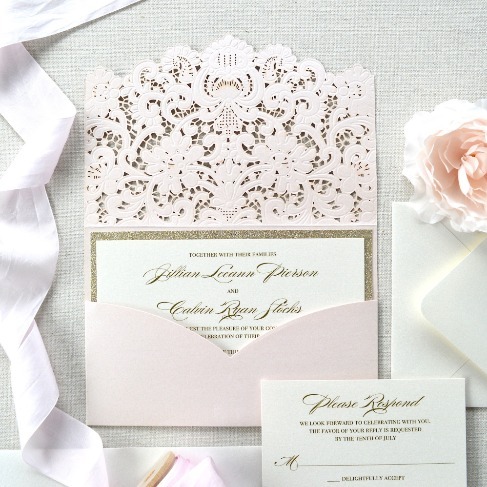 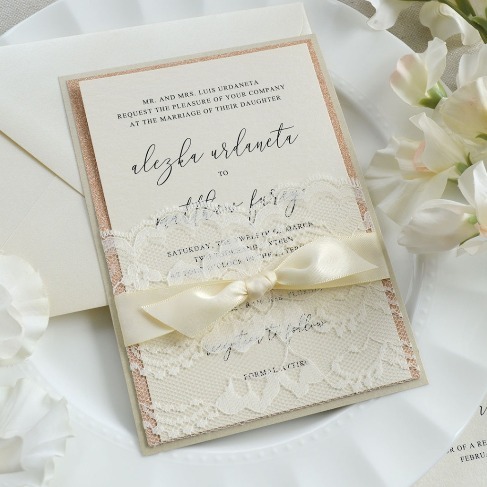 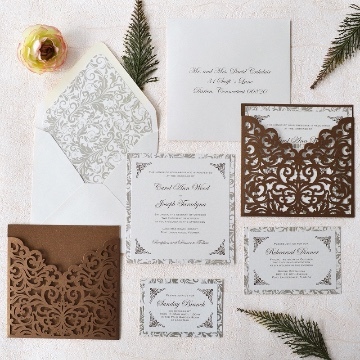 You're automatically adding an edgier, vintage feel to your invitations when choosing between our lace belly bands or LASERCUT BELLY BANDS! 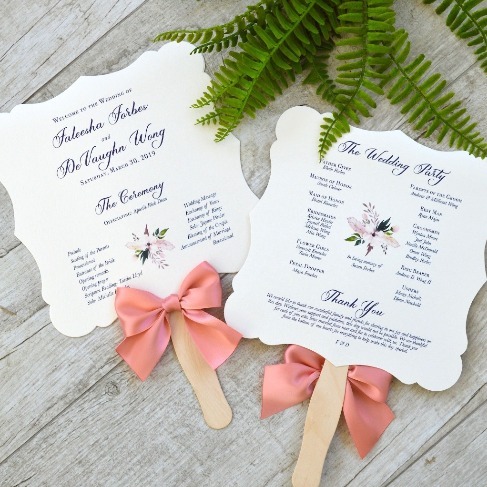 Stay cool this summer with these stylish fan programs. 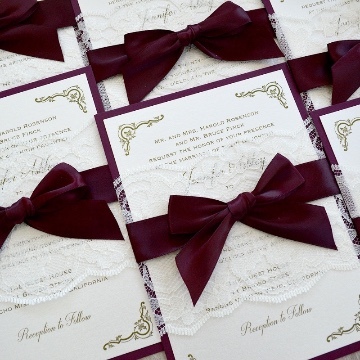 Isn't the red satin bow adorable! 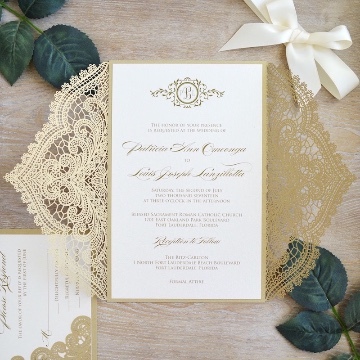 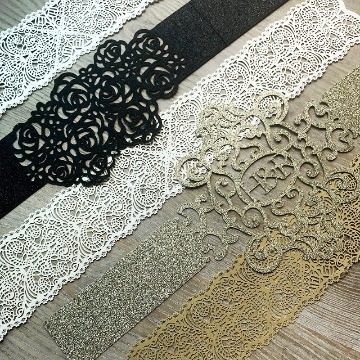 What's more royal than our chantilly lace, gold and ivory laser cut?